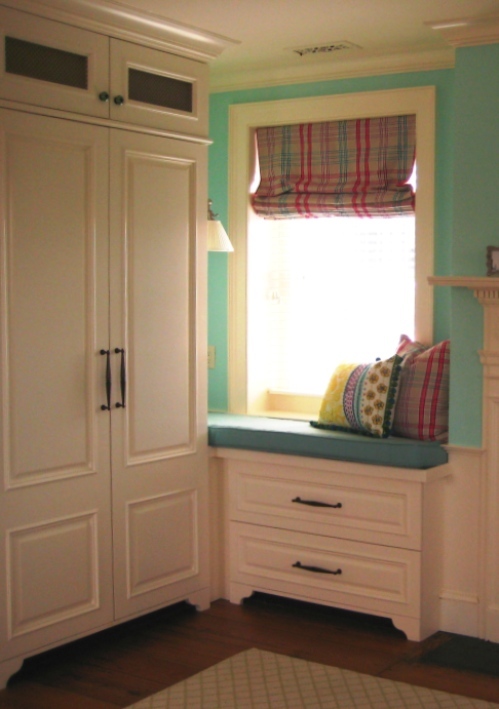 The upholstered furniture in their starter home found new life after being recovered. One, Two, Three…three houses later and the furniture still works. It began in a client’s first home. The living room needed updating with a completely new color scheme. 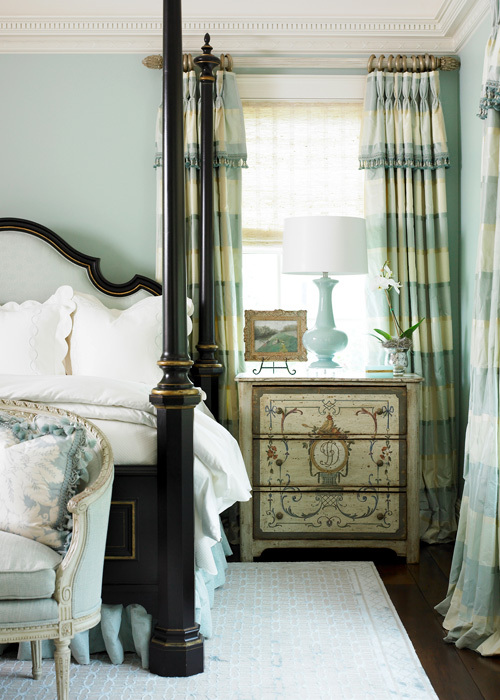 Slipcovering the sofa and recovering the club chairs in soft blues and greens gave the room a fresh new look. 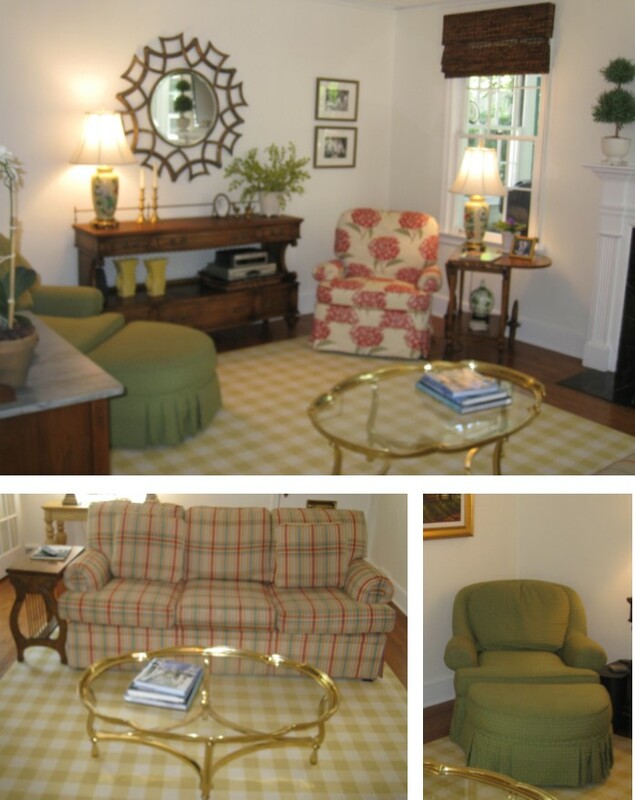 As soon as the furniture was installed, our client moved into a new home on the opposite side of town. The new living room was larger so additional furniture was needed. We added two Hickory Chair spool chairs, larger end tables and new lamps. By selecting furniture that will “move with you”, my clients were able to use all their furniture in three separate homes. 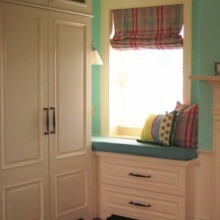 As an interior designer, every day at work is different - we never know what challenges a project will bring. 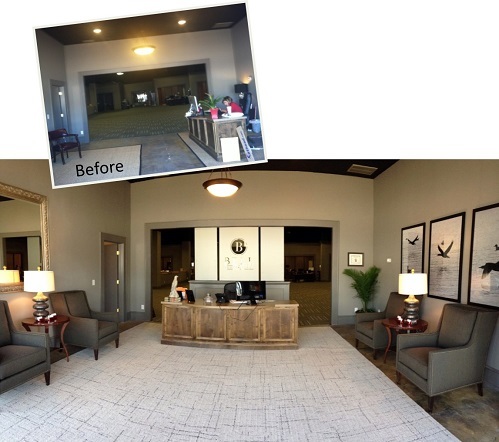 Recently we were called upon to help a prestigious South Carolina law firm complete their lobby. They had worked with an architect to convert their warehouse space into an office, however the concrete lobby floor, cool paint colors, and grey, striped commercial carpet tile felt cold and unwelcoming. Renovating a house built in 1807 to accommodate the needs of a modern family is a design and architectural challenge. Of course – modern kitchens, bathrooms, casual family rooms, and even closets did not exist when originally built. Carving out these spaces (and often undoing years of poorly attempted work by previous owners) takes equal doses of creativity and practicality.